Do you need a drivers licence? Home › Advice › Is it essential to have a driving licence in New Zealand? Is it essential to have a driving licence in New Zealand? It’s much more difficult: the graduated driver licence process (learner, restricted and full) takes more effort and skill to pass. There is one theory test and two practical tests with mandatory minimum times between the tests. Our demographics are changing, too, with many more immigrants that have come from cultures where car ownership isn’t a common. It’s much more expensive: while cars and motorbikes themselves are much cheaper because of globalisation, a strong Kiwi dollar and the removal of government tariffs, the cost of getting a licence is higher (check out the cost of a car licence and the cost of a motorbike licence). There is also a much greater number of things competing for our money such as smartphones, entertainment options and the overall cost of living (especially in Auckland). Urbanisation is increasing: now that our biggest cities are becoming quite dense, many houses and apartments simply don’t have any parking, and street parking is either non-existent, time-constrained, or requires a resident parking permit which costs money. The places we work often don’t have parking either. The alternatives are comfortable and fairly reliable: unless you’re living in a very rural area, public transport is becoming more and more frequent, convenient and comfortable. There are also companies such as Uber disrupting the need to have your own car or motorbike. For example, if you live in a city fringe suburb in Auckland, getting into the centre (outside of rush hour) costs around $8-12 each way, which is much cheaper than driving a car and parking for a day when you factor in your insurance, wear and tear, petrol and the opportunity cost of having spent several thousand dollars on the vehicle itself. Your future plans might be different: Many Kiwis go on their OE right after school or university and don’t feel the need to get a licence because they’ll be in a big city like London where it’s very expensive (read why you should get your licence before you go). Young people save money for these trips and therefore don’t want the expense of purchasing and maintaining a vehicle. Social connection: depending on where you live, not having readily available transport can be socially isolating. In rural areas there might only be one or two buses a day (or week!) and the bus stop could be a couple of kilometers away. Discovering your country: without a car or motorbike it’s very difficult to explore some of the best places in New Zealand, and if you can get there you’d need to schedule your visit around public transport. Discovering other countries: if you have a New Zealand driver’s licence you can drive in almost any other country for a short period of time without getting a special licence or passing a test. Family: a car makes life a lot easier when you have children, and for shopping and general errands. If your child becomes sick you can go to the doctor quickly without having to wait for public transport. Any vehicle makes it easier for you to visit relatives. Employment: many jobs (up to 1-in-6) are advertised as requiring a driver’s licence even if it’s not actually necessary to perform the job itself. Not having a licence reduces your ability to apply for and travel to jobs. While it’s ideal, and better for the environment, to take public transport or cycle to work if possible, sometimes a job isn’t located in a convenient place to do this. Or, you might even need to drive for your job. Check out this article for information about getting a job as a truck driver. Social stigma: it’s still seen as unusual if a person doesn’t have their driver licence once they are in their mid-20s. ID: a driver’s licence is a valid form of ID which is extremely convenient if you want to get into bars, apply for an account somewhere or generally prove who you are. Do you really need a driver’s licence? Owning a driver licence gives you choices. You aren’t obliged to drive if you don’t want to – you might not like it, might be deathly afraid of it or you don’t want to have the environmental impact of owning a vehicle – but it does open doors for employment opportunities and gives you more opportunities to maintain a connection with your family and friends. Make a start by practicing the learner licence theory test questions here. 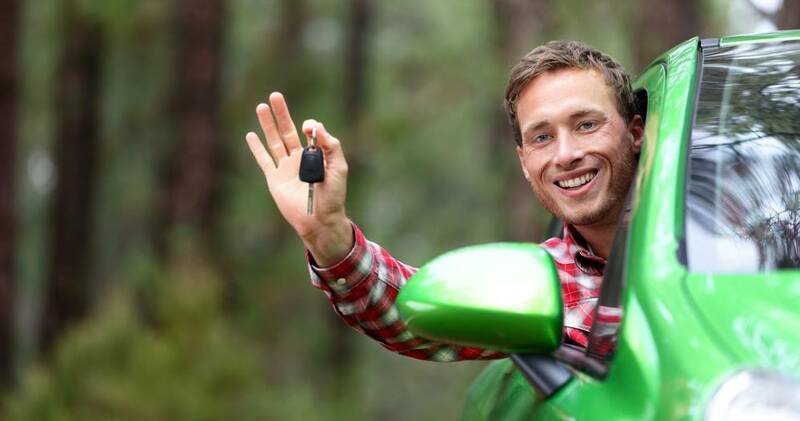 ‹ Is it worth getting the cheapest driving instructor? Is it worth getting the cheapest driving instructor?